Liz was raised in Inverness, Illinois. Liz’s father was a World War II Army veteran who served on Omaha Beach on D Day, a Harvard Law School Graduate, and a rare Republican Cook County Circuit Court Judge for 20 years. He served as President of the Better Government Association. Liz’s mother was Ted Kennedy’s personal executive assistant during his senate campaign, when he began in office and during the time of the assassination of President Kennedy. She had an extraordinary career selling real estate in Inverness. Liz and her siblings were called upon to pull weeds, shovel snow, and baby sit buyers’ children so that the best possible customer service was offered to the real estate clients. Liz and her siblings were raised to appreciate and to participate in government, business, and community service with particular appreciation of the legal system. Her parents set the tone for being thorough, prepared and comprehensive in customer service which Liz strives for today. Liz moved to Lake in the Hills in McHenry County, Illinois in 1994 where she and her husband raised their son, who is an Eagle Scout. Liz has presented many seminars to divorce recovery groups, counselors, lawyers, hospitals, doctors, and insurance companies and was an instructor for several years for a personal injury trial practice course presented by the Illinois Association of Defense Trial Counsel. Liz provided seminars in Mapping the Legal Minefield; guidelines for medical practitioners to area hospitals and their staff. She presented “Handling Minor’s Claims” to several insurance carriers. Liz worked at Unocal 76 in accounting and marketing during college and upon graduation. While at Unocal 76, she marketed to service stations and managed convenience store operations earning multiple regional sales awards while learning about gasoline, tires, batteries and soda sales. Liz began her legal career with Williams & Montgomery in Chicago practicing in the area of insurance defense litigation. She defended claims for products liability, contract actions, declaratory judgments, automobile accident, premises liability and medical malpractice through multiple insurance carriers including Allstate, ISMIE, and many others while also handling a variety of litigation for the now defunct Venture Stores. 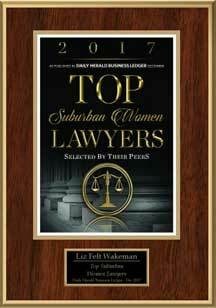 Seeking a more suburban practice, Liz moved to a firm Vernon Hills and Chicago. While there, in addition to continuing the general insurance defense practice, she served as National Counsel for PST Vans managing their vehicular accident litigation claims across the country. She also handled medical malpractice cases for ISMIE and many Chicagoland hospitals and physicians and served as monitoring counsel for the Illinois Guaranty Fund for malpractice cases across the state. Liz was a partner at the firm of O’Hagan, Smith & Amundsen/SmithAmundsen in the Woodstock office continuing to handle automobile accident, premises liability (slip and fall), medical malpractice and myriad of other types of insurance defense claims for State Farm, Farmers, Liberty Mutual, American Country Insurance as well as self- insured hospital systems such as Advocate. Liz was a partner with Crystal Lake firms where she expanded her practice to include family law and injury cases for plaintiffs. With her knowledge and experience of the analysis and process the insurance companies utilize to evaluate and prepare cases for settlement and trial, she has been able to help many plaintiffs recover damages for injuries sustained in a variety of accidents including automobile and motorcycle accidents, injuries from falls and from the negligence of medical care providers. While a partner at SmithAmundsen, Liz tried several cases to juries including the case of Hiscott v. Peters, a case decided by the Second District Appellate Court that was seminal with respect to the issues of when an accident reconstruction expert may testify at trial, when evidence of the use of a cell phone may be admitted at trial, when itemized jury verdict forms are appropriate and its application with respect to loss of normal life or disability, and the ability to assert a claim for emotional distress as a component of damages. Liz tried a case with a former law partner which involved one of the earliest cases in which a plaintiff was able to recover damages for grief and sorrow. In that case, a young child whose father was killed in a motorcycle accident. Historically, without a history of significant financial contribution, the recovery for this case would have been minimal. Liz and her colleague successfully argued for recovery despite a lack of financial support from the deceased father to the child. In a recent case, Liz made new law in the area of compensation for lost wages for a plaintiff who owns a corporation and is not able to earn money for the corporation due to injuries. After this case, the law is now clear that an injured person is entitled to recovery of the loss of those earnings and earning potential. In the area of family law, Liz has had multiple cases heard by the appellate court with success for her clients. In a recent case, the State of Illinois through Lisa Madigan’s office attempted to seek compensation from a father in Illinois who had children living in Mexico. Madigan’s office was trying to have child support set at Illinois standards rather than the standard that would apply in Mexico where the mother and children live. Liz fought against the idea that Illinois state resources would be utilized to send money out of the country inappropriately when the father was already providing financial support. Liz’s argument in this case was affirmed by the Illinois Supreme Court. In another case, the court held that the founder of Cancer Treatment Centers of America was in contempt of court which was affirmed by the Appellate Court. Despite this party’s unlimited resources, Liz and her client have defeated him in each appeal on multiple issues thus far. Liz’s client received the largest court ordered maintenance award reported in Illinois. 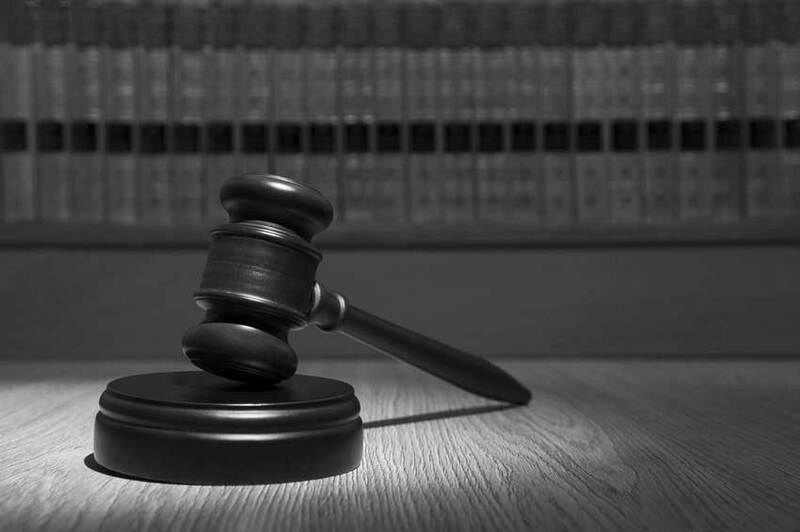 Wakeman Law Group, PC focuses on the events that take people to court such as family law and personal injury issues. Liz strives to find ways to help parties avoid litigation and to make the litigation process less stressful. She combines her skills as a litigator and mediator to reach effective results. Liz has handled a wide variety of family law matters including complex, high-value estates, custody contests, paternity claims, DCFS investigations, and post-decree disputes. Her approach focuses on the continued interaction of the family members under a changed living arrangement. She works hard to get her clients to an equitable and workable result while trying to limit the long-term damage that can arise in a hotly contested divorce. While it is often considered best to avoid the court room in family law matters, staying out of the court room very often depends on being well prepared for a court hearing. Liz is very active in her community both professionally and personally. Liz served for several years as a volunteer mediator for the small claims cases pending in McHenry County. This program began as a pilot program and has since expanded to other counties in Illinois. She served as board member for the International Academy of Dispute Resolution. 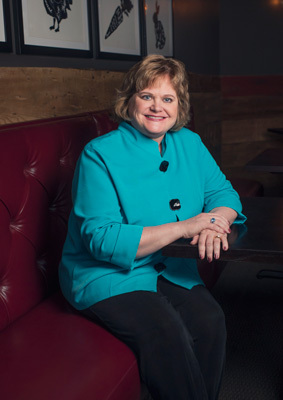 In that role, she judged national collegiate and international law school mediation tournaments giving her the opportunity to help students from all over the country and the world refine their mediation techniques. Whenever possible, Wakeman Law Group will try to get the parties to the table to try to work out their differences and will develop creative strategies to reach a resolution. Wakeman has trained lawyers in trial, alternative dispute resolution and mediation techniques. She serves as a judge for international law school and undergraduate mediation tournaments as part of the International Academy of Dispute Resolution. She serves as an arbitrator for the 22nd Judicial Circuit and as a civil litigation mediator for the 19th Judicial Circuit in Lake County and the 22nd Judicial Circuit in McHenry. Liz also participates in multiple “shadow” programs for students who are considering a career in law. Liz has served on committees to create, review and supplement the local rules for the 22nd Judicial Circuit. Liz has assisted in the presentation of multiple continuing legal education courses through the McHenry County Bar Association regarding mediation, evidence and other civil litigation topics. Wakeman Law Group, PC includes Stephanie Seyller Thompson, a paralegal with extensive experience in litigation. Stephanie has almost 18 years of paralegal experience in the family law and personal injury areas. She received her Bachelors of Art from Columbia College-Chicago and graduated with high honors earning her Paralegal Certificate from Elgin Community College, an ABA approved paralegal program. She continues to take continuing education classes to constantly improve her skills. Stephanie is a member of the Illinois Paralegal Association and the National Federation of Paralegal Associations. Stephanie’s experience with large and small firms has prepared her to be ready for the unexpected twists and turns that family law cases tend to take. Stephanie has expertise in supporting attorneys in drafting pleadings, providing necessary documents for depositions and preparing for trial. She also enjoys meeting with clients to help them navigate through the discovery process. She realizes it is cumbersome and tries to break it down into smaller pieces for overwhelmed clients. She uses her investigative skills to find assets that opposing parties sometimes try to hide prior to the beginning of the divorce process. Stephanie is married, has three grown children, and one grand-daughter. Since becoming an “empty-nester” she is currently volunteering as a court appointed special advocate with McHenry County CASA. 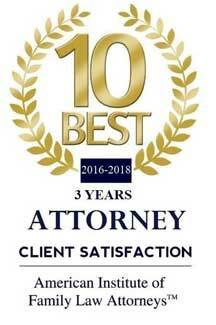 At Wakeman Law Group, PC, we use the most current technology to keep your legal fees low. Phone messages are sent by email to the appropriate professional and we utilize Westlaw to give our clients the most current research results. With new changes in the law in 2017 regarding child support, we incorporate software specifically designed to give accurate numbers for maintenance, child support and parenting time so that it can be clearly communicated to the court.